Sunway Lagoon, 20+ KM from Kuala Lumpur city, has the largest wave pool in the world has an impressive 139,800 ft.² pool area where guests can surf on. It also has the world’s largest man-made beach to complete the entire surf/beach experience. The tour will cover visits to the Extreme Park, Wildlife Park and Scream Park. 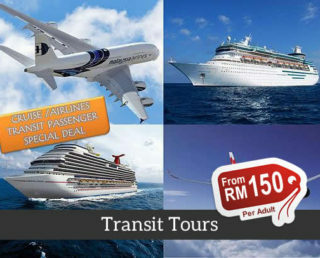 During this tour, your guide/s will take you to the water park as well as the nearby amusement park. These parks are also home to the highest slingshot ride in Asia and the first interactive zoo in Malaysia, respectively. 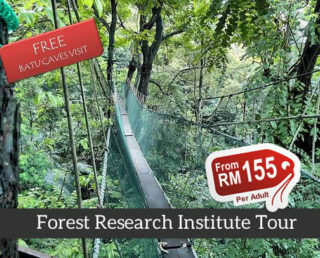 You will also be able to walk on one of the longest flying fox trails in Asia. The International Association of Amusement Parks and Attractions gave the park the title of best attraction in Asia for four years straight years. 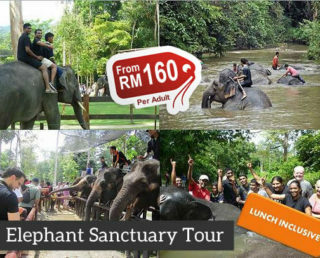 Your tour will include Extreme Park, Wildlife Park and Scream Park. Must visit if you are looking for a theme park in KL. Very nice place to visit. Water park is awesome. My children like it! Sunway Pyramid beside the park is also a heaven for thosewho like shopping and eating! Great service! Fast & convenient! We had a great fun time in Sunway Lagoon theme park. Thanks! my family really had a great time and we enjoyed so much the water park,food and rides. Fantastic park with scary and non scary things. Very busy but great fun. We did the quack express and its really worth the money! 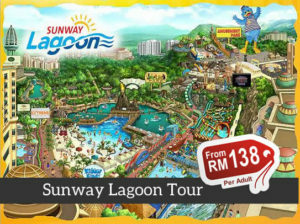 Its an amazing experienced in sunway lagoon. My kids enjoyed the place. They had the chance to meet and greet spongebob and dora. It was a great experienced. Great service! Fast & convenient. Love it as I don’t have to queue for the tickets. Flat pipe network, convenient and quick, that is, buy and use, you can not print, the next will be used again. Very fun water park, a lot of wet games, can play all day! Very fun, so funny! But the food in the park, very general! If you can eat more different foods will be much better! The water rides are very interesting and there are many animals to interact with! ! It is very convenient to enter the park. Just qr code and you can buy it right away and it is convenient for the park. It is very suitable for a small and old family. This park is very diverse, exciting mobile games, there are suitable for children, there are small zoos, the most important water park, adults and children are playing very happy. Super duper fun day for my friends and I! Although few main rides were under maintenance :(, but the other rides were still super fun. MUST RIDE THE VUVUZELA! Still get over it. Lots of rides here with plenty to do. We stayed at the park for the whole day. Queues not too bad either. Most of the activities were under maintenance, which was a real disappointment. Overall, nothing really impressive, average at best. very interesting. But it is recommended to come early enough time to play all, because it has land and water activities, as well as artificial beach, so really can spend the whole day in this time. Cheaper since they are giving two way transfer plus the all park ticket..
Everything is good. And also this program is fantastic. My regards. Thanks. Easy check in, no hassle. Great place to spend time with family/friends! Plenty of activities to do other than just visiting the water park! Amazing scene, suitable for a family trip.